I know what you're thinking. But before you label me a heretic at the mere suggestion that the church could learn something from a company that doesn’t profess to be Christian, please hear me out. My husband is a longtime pastor, which means our daughter grew up in the church. She has worked for nearly four years for the Walt Disney Company (in addition to a few years as our church’s worship leader). The stories and information she has brought home regarding her training, and her company’s customer service, has stirred up great discussions in our home about Christianity, culture, and the church, and have compelled me to share with you some of the insights I gained and the lessons I’ve learned from our discussions around the dinner table. Granted there are some things Disney does that are not applicable to the church at all, and perhaps they even rub you the wrong way. But it’s a fact that Disneyland Park in California (and the Disney parks around the world for that matter) are places nearly every person wants to go, repeatedly. What if people were lining up at your church doors to do the same? I would never suggest that any church compromise its standards, biblically. But here are some lessons in methodology that the church could learn from Disney. 1. Give first-time guests the red-carpet treatment. Churches don’t slap a red “Visitor” ribbon on newcomers anymore because that, of course, will make them feel self-conscious. Most visitors like to slip into the back pew and perhaps leave early so they won’t be “harassed.” But for some reason, first-time guests at Disney parks love wearing their “First Visit” button. Could it be because of how they receive the red-carpet treatment? At Disneyland Park in California, whenever a cast member (code for “Disney employee”) sees a “First Visit” button-wearer, they make sure the guest is having a quality experience. They don’t spend the day doing everything they can to recruit that visitor into a position at Disney or even to get them to return the following day or week. Disney cast members understand that some first-time guests will never again be able to return to the park. Therefore, their focus is to make it the most memorable day of their lives. If you are in a small enough church or just have regular greeters at the church doors who are good at recognizing familiar faces, it will be quite easy to “tag” visitors in your mind. They are the ones walking in looking a little dazed and confused, and maybe even self-conscious. Don’t be so concerned with getting that first-time visitor to come back that you forget the importance of simply making it a great day for them. Make them feel so welcome and give them such a good experience that they feel compelled to come back. 2. Make it a priority to make magic. The church refers to this as “serving”, but at Disneyland it’s called “making magic for guests.” Cast members are trained to constantly be looking for opportunities to “make magic” for the park’s guests, and some are even assigned shifts in which that is their only task. It mostly happens while families are lined up along Main Street waiting for the evening parades, and while Tomorrowland is jam packed full of people in long lines because there are no more Fast Passes for the most popular rides. Making magic consists of finding guests, talking with them, finding out what would make their day and… yep, making it happen. Cast members are pre-loaded with “front-of-the-line” passes in their pockets that they can, at their discretion, give to guests who are patiently waiting in miserably long lines for Star Tours or Space Mountain. And when you hear screams of delight, and see jaws drop open because someone can’t believe what a cast member just did for them, well, that is successful magic-making. What if your greeters at the front doors or ministry leaders or staff were assigned one task only on Sunday mornings – making magic for church guests? I believe children's ministry workers understand and practice this concept more than anyone else. They get it. They know when they do something special for a child and that child’s eyes light up, all the child is going to talk about all week is how much he or she will want to return. You can make magic for adults too. Make it a matter of prayer: God, how can I serve people in such a way that they will be impressed with how extravagant Your love is for them and they will want to return simply to be surrounded by it again? 3. Make it a safe place for EVERYONE. Disney parks not only have a highly-skilled security team to make the parks physically safe (I’ve been told their bomb-sniffing dogs are better trained than those assigned to The White House!) but it’s a safe place, emotionally, for anyone who comes through the gates – including those who feel different or judged by the world (and especially the church). Shortly after my daughter started training for her job at Disneyland, she noticed it attracts such a diversity of people – culturally, racially, and even in terms of sexual orientation – because “Disney makes everyone feel accepted.” I couldn't help but blurt out “that's what the church should be – the place where everyone wants to be because they feel loved and accepted...” Before I could finish my sentence, she finished it for me. “… but the church is often the last place they want to be because they fear they will be judged.” Sadly, Dana is right. The church was not given the charge to judge the world, but to love it to Christ. We are sometimes so concerned with the behavior or lifestyle of people who enter the church doors that we forget that we, too, had a lifestyle that was offensive to God before His Holy Spirit convicted our hearts and transformed our lives. Disney doesn't try to change or conform people in any way. They just want to make them feel special. The church should not attempt to change people either, but show Christ’s love toward them and allow the Holy Spirit to convict their hearts. Transformed lives are the result of a relationship with Jesus, not an attempt to conform to the expectations of the church in order to find acceptance. 4. Treat your staff well and they'll never leave. It’s extremely difficult to get full-time status with the Walt Disney Company. Not because Disney only hires part time to save money on benefits. It’s because the full-timers just won’t leave. Seriously. In addition to being treated like family, awarded with Christmas gifts each holiday, and given souvenirs from every Disney movie premiere or launch of a new attraction, cast members are awarded for their longevity with the company. Every five years of their employment, cast members receive a personalized plaque or sculpture with a Disney character on it, in addition to a private party in the park for just the honored cast members and their families. And once they’ve stayed 16 years, they can retire with the company and keep their lifetime benefits and perks with Disney – guest passes for immediate family and friends for a certain number of times each year for as long as they live! 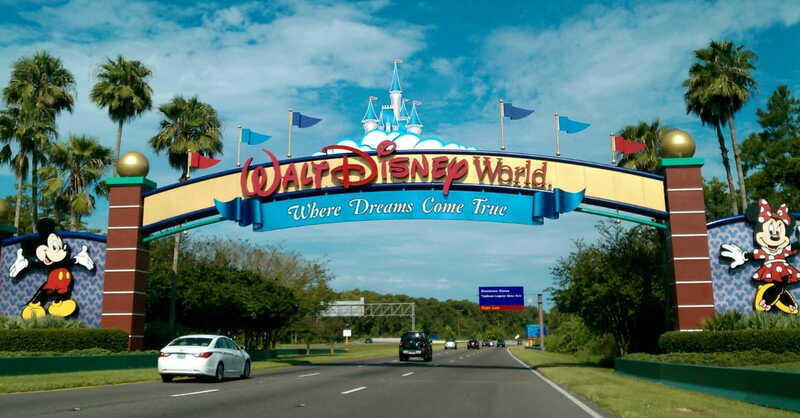 Because of how well they are treated, few entertain the thought of leaving the Disney family to go to “the other amusement park across town.” There’s simply no comparison. And when they do something extraordinarily well, they are commended with beautiful certificates and words of affirmation and praise. It’s tough not to feel like the favorite when you’re employed at the Happiest Place on Earth. The New Testament writers called the church the body of Christ and emphasized its unity and interdependence to the extent that “if one part suffers, every part suffers with it; if one part is honored, every part rejoices with it” (1 Corinthians 12:26). When the church treats its staff and one another like family (and even like the same body), no one will ever want to leave it, either. 5. Keep focused on your purpose. Although you might beg to differ, the Walt Disney Company does not exist primarily to make money, but to fulfill the vision of its founder, Walt Disney, who said on opening day of Disneyland “that it may be a source of joy and inspiration to all the world.” Obviously your church’s purpose is not to merely be a “happy place” (at least I hope that's not its sole purpose), but it is to edify and equip the believers to live for Christ in this world, and to display the transforming power of the Holy Spirit so that all my come to know that Jesus is the way, the truth, and the life (John 14:6). Lest you believe I'm telling you to become a seeker church that ignores deep teaching and focuses on tingling ears and becoming a feel-good country club, let me remind you to keep focused on your purpose. Why does your church exist? To worship and glorify God through the proclamation of His Word? To edify and equip believers? To motivate others to share their faith and thereby make disciples of Jesus Christ? Once you know your purpose, keep that ever before you and the other things will fall into place. I love the Disney company and what it's done for my daughter. I love the way it makes magic for others. But I don’t love it more than I love the church – the one for whom Christ died and the institution which He set up and promised not even the gates of hell will prevail against. Take what is worthwhile from this article and toss the rest out, but at least be willing to give it a try. Ask yourself without compromising on the Word of God: How can we make our guests feel loved and accepted so they sense – not the magic and the spirit of Walt – but the very love and presence of Christ?